On the margins of the Davos WEF, the Venturelab presented in Zurich the assets of Switzerland in terms of start-ups and innovation. Among ETHZ and EPFL, the Idiap Research Institute presented the strengths of its own start-ups and tech transfer. 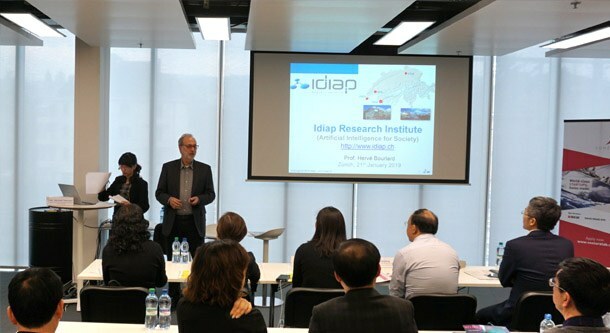 With a highlight on biotechnologies, the delegation of the Ministry of Industry and Information Technology of China was especially interested by Idiap’s biometry skills, as well as by its start-ups, such as Biowatch and Eyeware. “I was surprised to see that the members of the delegation were already aware of the existence of Idiap”, explains the Institute director, Hervé Bourlard.